On Sunday there was great joy in the posher half of Rio de Janeiro as traditional giant club Fluminense finally sealed the Brazilian Championship after a season long tussle with Corinthians from Sao Paulo. Fluminense beat already relegated Guarani at home in the last game of the championship. A heart broken Corinthians, with Ronaldo and Roberto Carlos on board, could only draw their last game and were even pipped on the line for second place by Cruzeiro. Gremio took 4th place to qualify for the preliminary round of the 2011 Copa Libertadores, in which holders Internacional PA and Brazil Cup winners Santos will complete a very strong Brazilian representation. 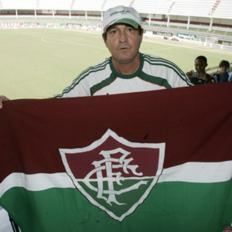 Much of the credit for the Fluminense success must go to Coach Muricy Ramalho. Earlier this summer, when Dunga resigned after Brazil’s disappointing performance in the World Cup, Muricy was the preferred choice, of both the public and the Brazilian FA, to replace him. Muricy had steered Sao Paulo to three successive Brazilian titles in 2006 to 2008 and almost clinched a fourth successive title with Palmeiras in 2009 until a dramatic collapse in the last few games cost them what had seemed a certain title. He left Palmeiras to join Fluminense and after the first half of the season had transformed a team that had struggled for the past two seasons into one involved in what seemed a two horse race with Corinthians. Muricy committed what most Brazilians regarded as an act of high treason and turned his back on his country’s call to insist on honouring his contract with Fluminense, who had no intention of releasing him. Mano Meneses showed more patriotic spirit and took the national job, But Muricy must be grateful his gamble came off, with his fourth national title in 5 years. Fluminense are not that impressive a team, without many real stars, but they do play an organised, disciplined form of football. They used the summer break to reinforce their team by repatriating two World Cup stars from Chelsea, right back Belletti and the famous Deco, Brazilian born but a naturalised Portuguese citizen who had starred with Porto and Barcelona as well as Chelsea. Belletti who won a World Cup winners medal in 2002 before joining Villarreal, then Barcelona then Chelsea, struggled to re-establish himself back in Rio and in truth did not contribute much to the league triumph. Deco had more of a positive impact becoming the team’s main playmaker. However their star player is Dario Conca, an Argentinean offensive midfielder who scores most of their goals, and assists with most of the rest. Up front they had Fred, another internationalist repatriated from Europe, returned old warhorse Washington and ex Flamengo striker Emerson. They are one of the poorer teams to have won the Brazilian League in recent years, probably only marginally better than last year’s champions, their eternal rivals Flamengo, who spent most of this season struggling against relegation. The title triumph proved to be the final decisive stage in the recovery from the broken heart that nearly killed the club in 2008. The events of that year did indeed provide proof that football clubs, supporters and players can be severely, even fatally, wounded by having their heart broken. Fluminense are traditionally the club of the Brazilian and Rio de Janeiro power elite, while their deadly rivals Flamengo are seen as the club of the people, the poor and the powerless. Yet Fluminense’s main glory days belong well in the past and in the 40 years since Brazil got a true national championship Fluminense won it on only one occasion, in 1984. They are also among the only four of the traditional Top 12 Brazilian clubs never to have won the Copa Libertadores. Incredibly after Brazil finally introduced a genuine relegation system, Fluminense actually slipped down to the Third Division. In Brazilian terms that was equivalent to Arsenal playing in the Third level of English football, and never winning the Champions League. 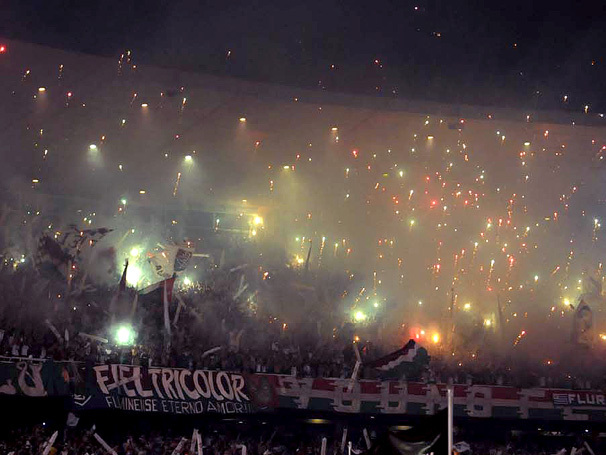 Fluminense qualified for the Finals of the 2008 Copa Libertadores by beating the then current holders Boca Juniors in the Semi-Final. Their opponents in the Final would be LDU Quito of Ecuador, a mediocre team from a country never to have provided a winner of the Libertadores. Even the most rabid Flamengo fans assumed Fluminense only needed to turn up for the two Final games to claim the trophy. So you can imagine how confident the whole Fluminense nation were that they would be crowned kings of South America for the first time in their long and illustrious history. The partying began well before the first leg started, then came the hubris and the heart break. An incredible first 45 minutes of the Final first leg in Quito saw LDU establish a 4-1 lead. Fluminense despite being the away team, attacked non-stop for the second half but despite their total superiority they were only able to pull back 1 goal, from top player Thiago Neves, leaving them with a 4-2 deficit to take into the Final. Their coach, the hugely talented legendary Brazilian forward Renato Gaucho, assured everyone they would still win the trophy and that the second leg in the famous Maracana stadium would be a massacre. 86,000 Fluminense fans turned up to see this confident prediction being implemented but were stunned into temporary silence in the 6th minute when LDU scored with what was about their one attack of the game. Fluminense kept their heads despite being 3 goals down and by the 57th minute had pulled the three goals back with a hat trick from their star player Thiago Neves. Since the away goals rule did not apply in the Final, this left the two teams level. Fluminense continued to attack almost constantly but despite incessant pressure for the last 30 minutes of normal time, and the entire 30 minutes of extra time, they just could not manage to score. Thiago Neves was denied a 4th goal by a post in the very last minute and so the match went to penalties. The three best Fluminense players, Thiago Neves, Conca and Washington missed and LDU won the penalty shoot-out 3-1 to become probably the poorest team ever to win the Copa Libertadores. Poor Thiago Neves. He scored 4 goals over two legs in a Final, hit the post in the last minute then misses his penalty. Until that point Thiago Neves had been seen as the finest talent in Brazilian football, the next major superstar. He was brought into the national side and seen as the man most likely to lead them to glory in South Africa. He was seen as a Number 10 worthy to follow in the footsteps of giants Pele, Zico and Rivelinho. But that Final disillusion did break his heart and he never again was the same super skilled player that was able to score 4 goals in a major final. He was transferred for a large fee to HSV Hamburg but failed to settle there and never showed his real form in the Bundesliga. He was finally lent back to Fluminense for the 2009 Brazilian season but struggled in a very poor Fluminense team battling against relegation. In desperation for some return on their investment Hamburg offloaded him to a very rich club in the Middle East, where he could be a superstar with no pressure, and no world influence. A tragic outcome in what had seemed an inevitably glittering career. 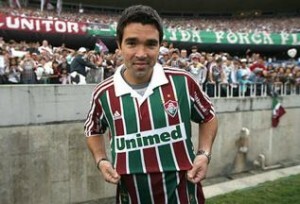 The other member of the Fluminense 2008 Final team sold to Europe fared better, eventually. AC Milan finally beat off opposition from Villarreal to secure the transfer of centre back Thiago Silva, even though he was not eligible to play for their team in the Italian league. However Thiago Silva overcame that difficult start and has proved himself in the last 18 months to be a centre back of world class, a view shared by Mario Meneses who has brought him in as the backbone of the defence of his new Brazil. Three others of that Fluminense team moved in search of an experience that would cure the bitter taste in their mouth of Libertadores failure. Junior Cesar, Arouca and Washington signed for Sao Paulo and hoped to achieve Libertadores success with the Brazilian champions. However for a third year in a row, Sao Paulo failed in the Libertadores as Champions and in 2010 did no better as non champions losing on both occasions to other Brazilian clubs. Those that stayed at Fluminense failed no better, indeed a great deal worse. They struggled woefully for the rest of 2008. Renato Gaucho did not last long as coach after the Libertadores heartbreak and the devastated rump of survivors finished the season limping in 15th place. 2009 proved even worse as the sense of heartbreak permeated every fibre of the club. Only Conca provided any semblance of class form and the rest of the players continued to seem lost. Several different managers, starting with old legend Carlos Alberto Pareira were tried in an effort to break the slump and restore confidence, including remarkably, a brief and unsuccessful return for Renato Gaucho, but nothing worked and the team seemed doomed for a relegation that would be the final insult. The Brazilians love statistics and with 10 games of the season to go the Rio Press reported a study indicating it was 98% certain that Fluminense would be relegated. They were in bottom place, 8 points from safety. Given that Flamengo went on to win that 2009 Championship, the double conjunction could have been certain to result in mass suicide amongst Fluminense supporters. 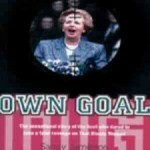 But somehow on the very brink of absolute disaster, a degree of confidence returned. Under a new Manager, Cuca, Fluminense recovered in time, won a few games and finished with an unbeaten run of games to avoid relegation, finishing in 16th place just above the relegated bottom four. Amazingly at the same time as desperately fighting off almost certain relegation Cuca took Fluminense to the final of the Copa Sudamerica, South America’s equivalent of the UEFA Cup. In the Final in a twist no fiction writer would have dared to conjure up, they faced LDU Quito once more. Once again they had a disastrous first leg in Quito losing 5-1. Once again they totally dominated the second leg, winning 3-0 but just failing to get the crucial goal. Of the team that broke its heart in the Libertadores Final only Conca and the goalkeeper survived for the rematch. At the same time Fluminense lost the Copa Libertadores Chelsea also suffered a minor heartbreak losing the Champions League on penalties. Yet by December 2009 when Fluminense only had 2 survivors left in their squad, 13 of the 14 Chelsea players that lost to Manchester United were still with the club, and still hoping for Champions League glory. The fright provided by such a close flirt with disaster provoked the Directors into finally getting properly organised helped by investment from sponsors Unimed. When Cuca failed to win the Rio State league he was dismissed. The club made an unrefusable offer to Muricy Ramalo who left a Palmeiras still devasted by the unexpected failure to win the Brazilian league. Some sensible signings were made, without great investment, and amazingly quickly Muricy moulded them into an effective winning team who were never out of the top two all season. Muricy’s decision after the World Cup to turn down the Brazil manager’s job turned out to be a boost to the confidence of the players and the investment in Belletti and Deco, and old favourite Washington, helped the squad turn into one able to finish the season well enough to clinch their first championship since 1984. So in 2011 Fluminense will have the chance to face their Copa Libertadores devils and see if they can complete the cycle by doing what they should have done in 2008 and finally winning it. In the exuberant way they celebrated the League title their longsuffering supporters showed they are recovered from their broken heart. The Copa Libertadores will be the chance for the whole club to consign that whole awful experience to the dustbin of history. The first step was to tie star Dario Conca into a new long term contract. Then came the news that Fluminense have begun negotiations to bring Thiago Neves home. Perhaps another crack at the Copa Libertadores is the only medicine that could restore Thiago Neves to where he was 3 years ago. The third step will be the signing of a top class goalkeeper with Liverpool’s Diego Cavalieri favourite to be the chosen one. SISIF News will report on progress in creating a side capable of finally winning the Copa Libertadores for Fluminense. Two of the Brazilian clubs in their way will be Cruzeiro managed by Cuca and Gremio managed by Renato Gaucho both of whom showed they have recovered from their own Fluminense traumas by leading their clubs to Libertadores qualification. It was good to hear Muricy pay generous tribute to Cuca’s work with Fluminense as the basis for his own success.